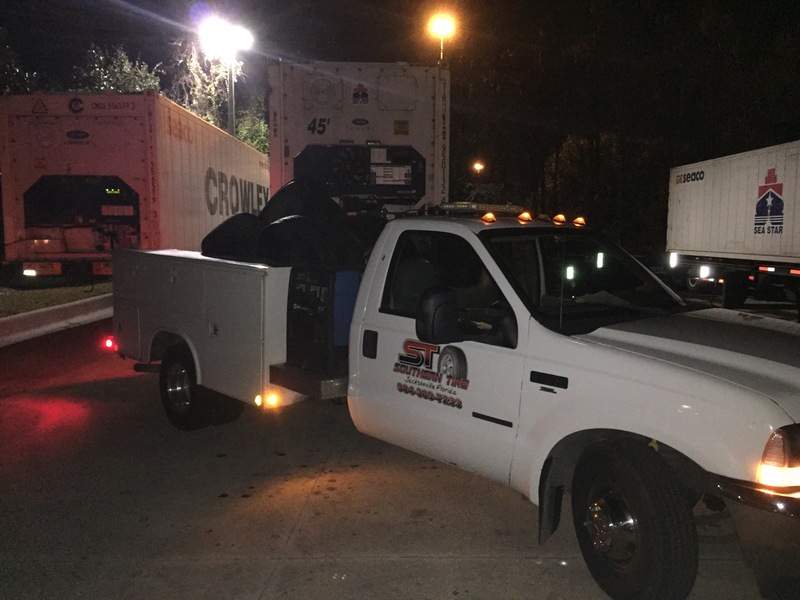 (904) 389-7233 Emergency Tire & Trailer Service | Southern Tire & Fleet Service, LLC. From Blowouts to Electrical issues, Southern Tire & Trailer has you covered. Call (904) 389-7233 for immediate service 24 hours a day. Our average call to site time is 30 minutes. We carry new and used tires in all the major sizes and from all major manufacturers. If you need trailer service such as air leaks, brake chambers, wheel seals and bearings. Southern can take care of all of them roadside. Our trucks are fully stocked and our technicians are the best in the business. (904) 389-7233. We are standing by.